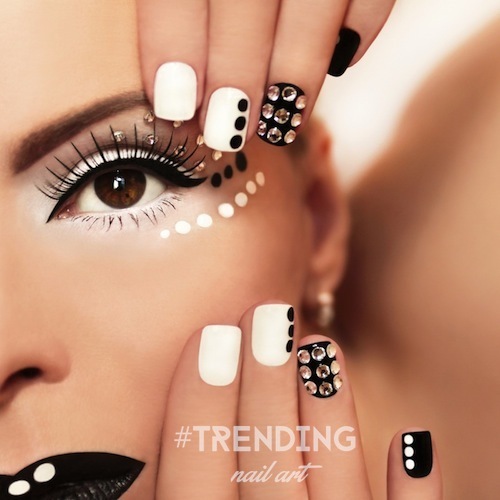 Hey my dear ladies, I’m always here to show you the latest fashion trends! 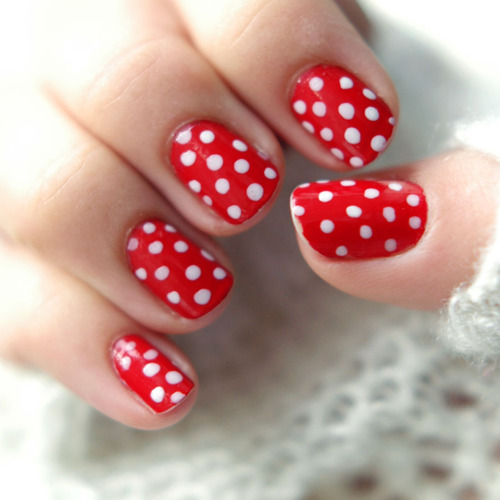 For today I have made you a wonderful collection of 15 polka dot nail designs to inspire you and to awake you creativity. Are you excited? 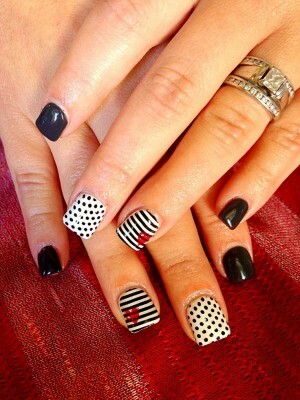 Your hands should always look fantastic, so I advise you to check out the gallery below. 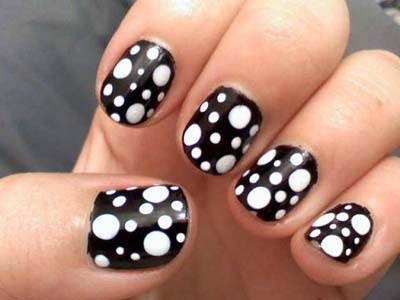 Here you will find stupendous nail designs with dots that will take your breath away and will make you polish your nails immediately. 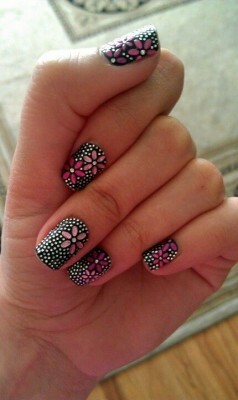 Some of them may look a little bit difficult, but that isn’t true at all, because all of the designs are easy and quick. The black and white design is the most popular among the girls, but you can choose the colors the colors that will match to your outfit. The gradient nails also look lovely and sophisticated, so if you want something different and unique, you should try them. 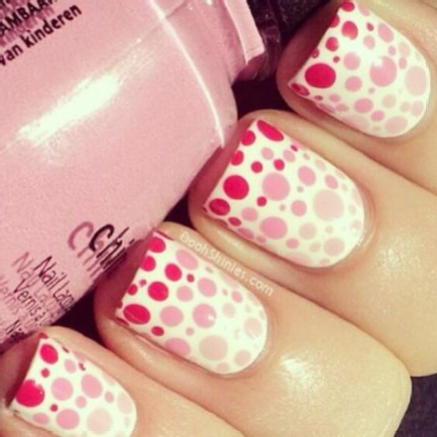 The dotted nails are easy for matching, but I still advise you to choose some neutral colors that will fit with everything. 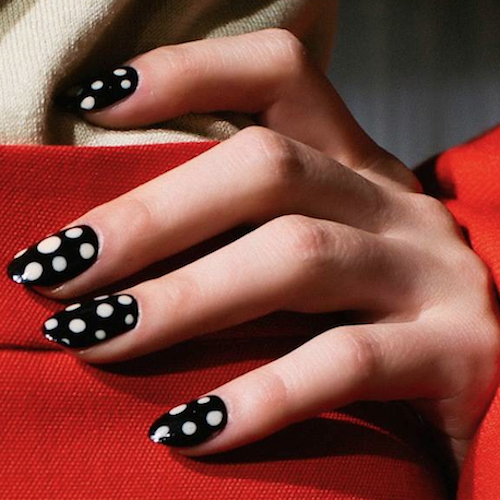 Polka dot nails are perfect for every occasion and for everywhere and you can’t go wrong with them. 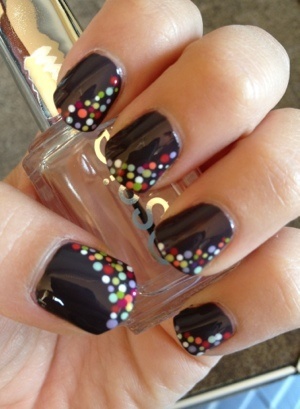 If you have some other cute nail ideas, please feel free to leave me a comment below. I would love to see them! Thank you for reading! Enjoy in the rest of your day and stay up to date with the contents of Fashionsy!